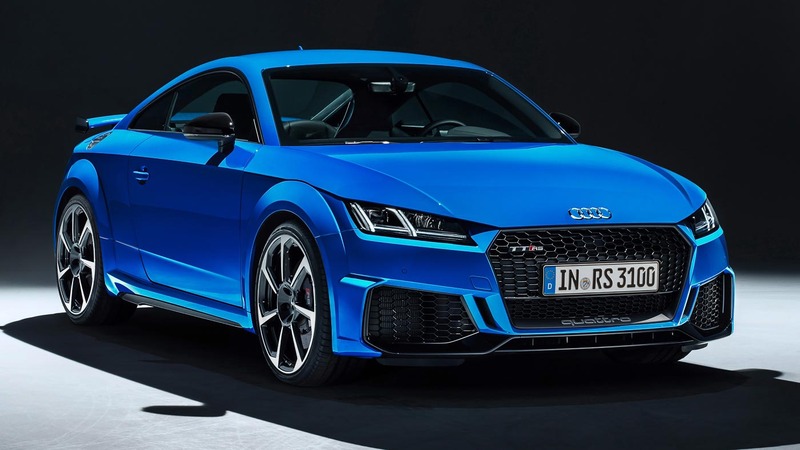 Audi is ushering the new year with the updated Audi TT RS, packing dynamic styling upgrades but no power bump on the 2.5-litre five-cylinder engine. 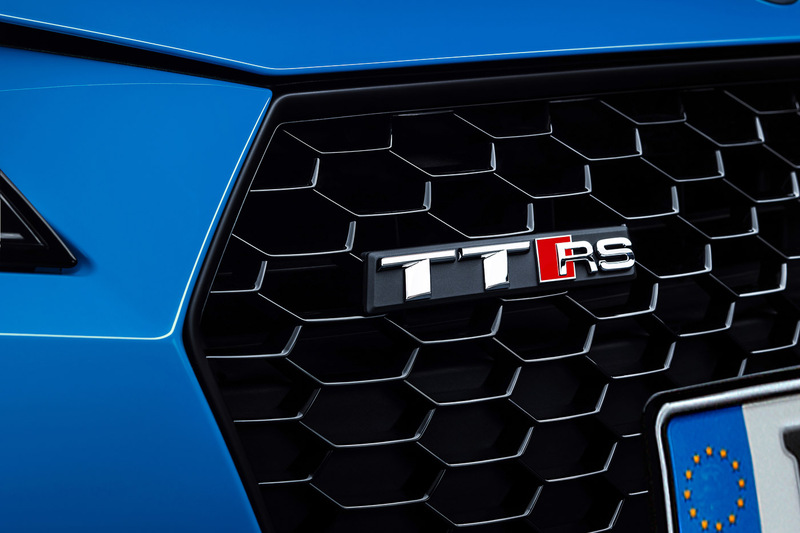 At the front, the updated TT RS welcomes wider lateral air intakes with longer front spoiler to give the car a wide appearance. 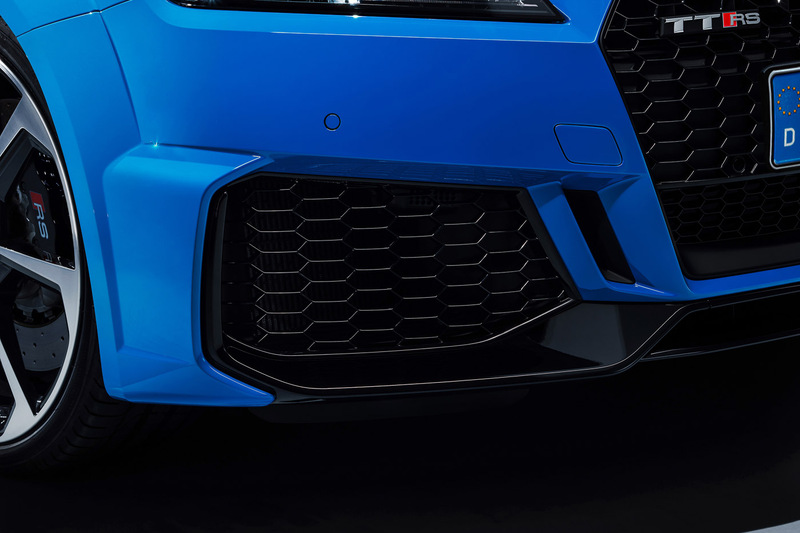 The Gloss Black Singleframe grille remains a centre piece at the front that hides away additional radiators for better cooling. 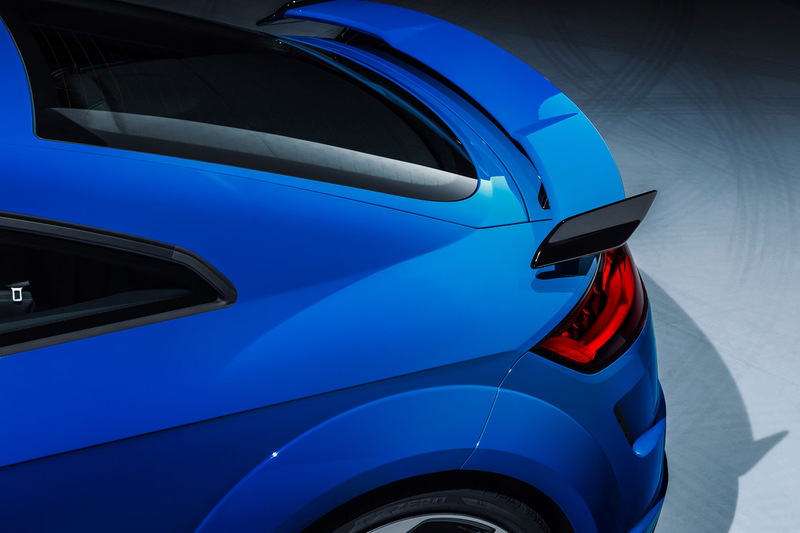 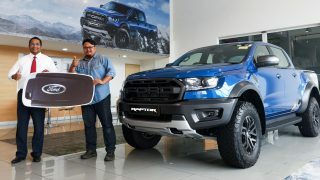 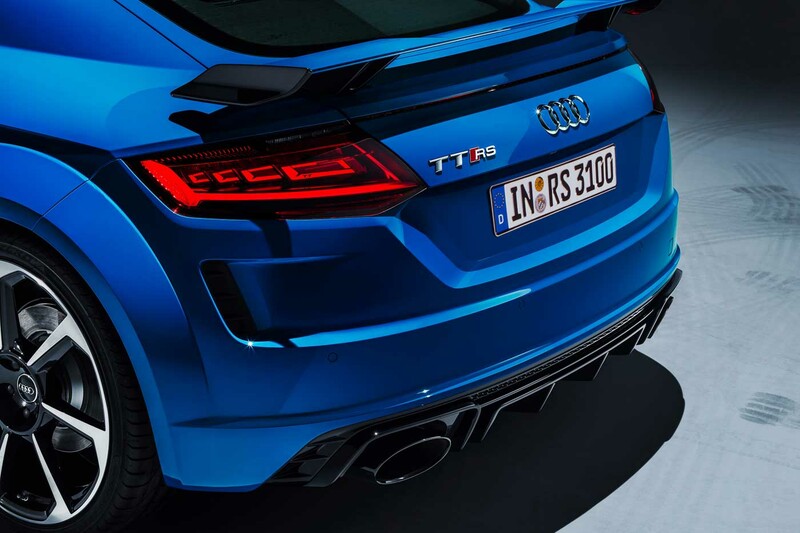 Over to the rear you’ll find a new fixed rear wing with larger endplates that aids aerodynamics while the RS-specific rear diffuser is restyled to house the large oval exhaust tailpipe finish. 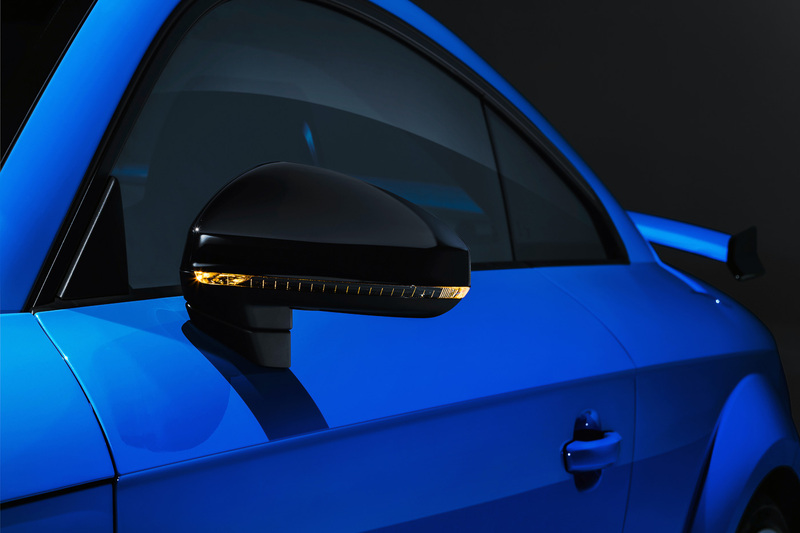 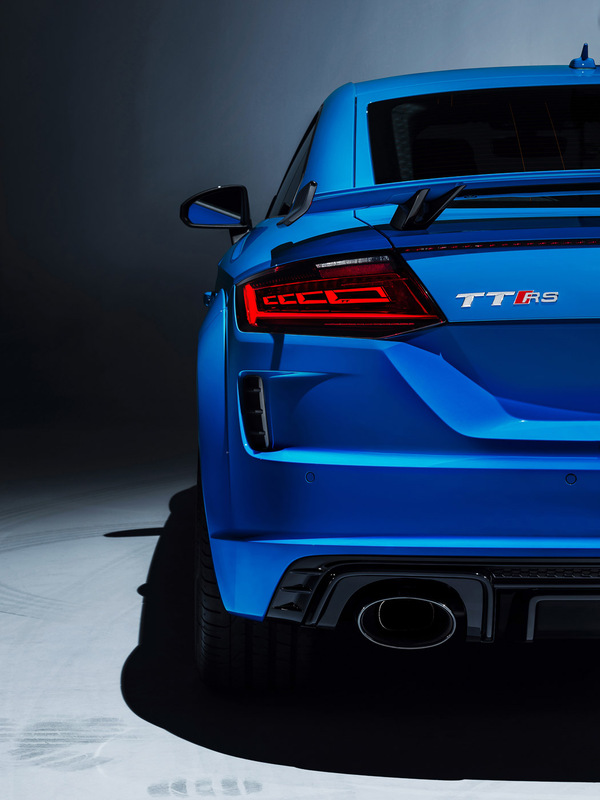 LED lights are standard fitment but the taillamps can be optioned with matrix OLED technology with an extensive 3D design. 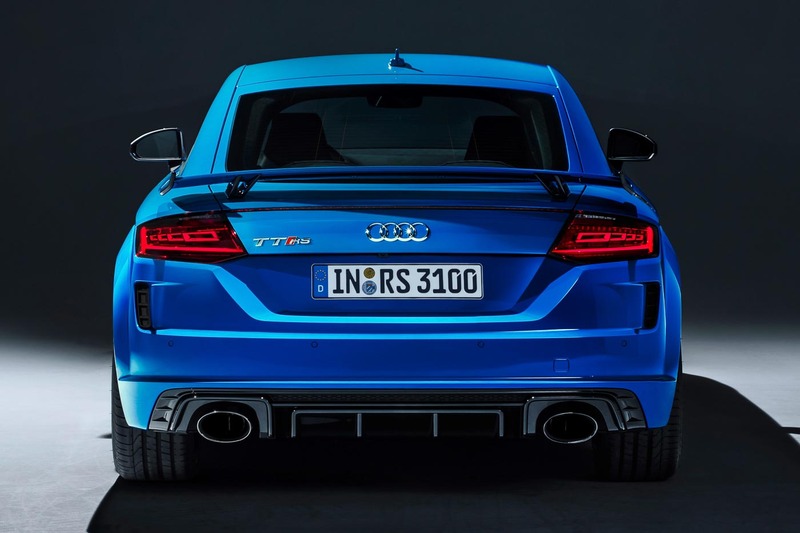 Changes are less apparent on the inside, where the 12’ o clock red marker being the only difference in the facelifted TT RS. 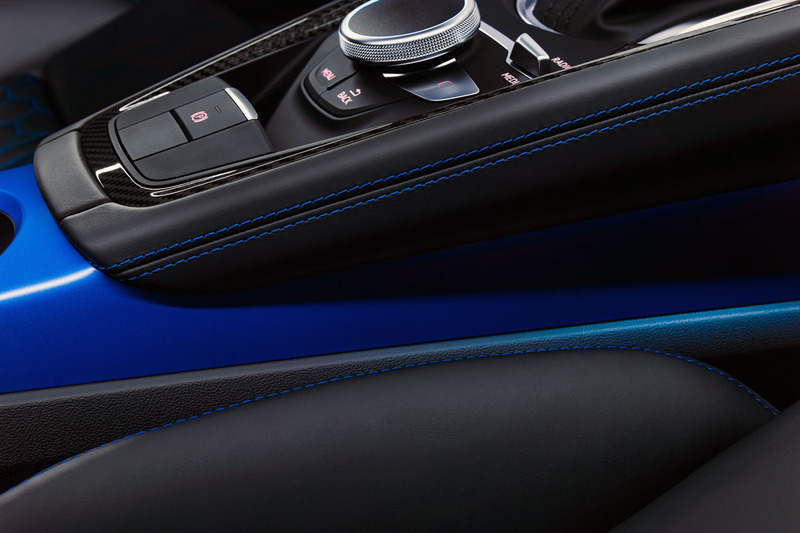 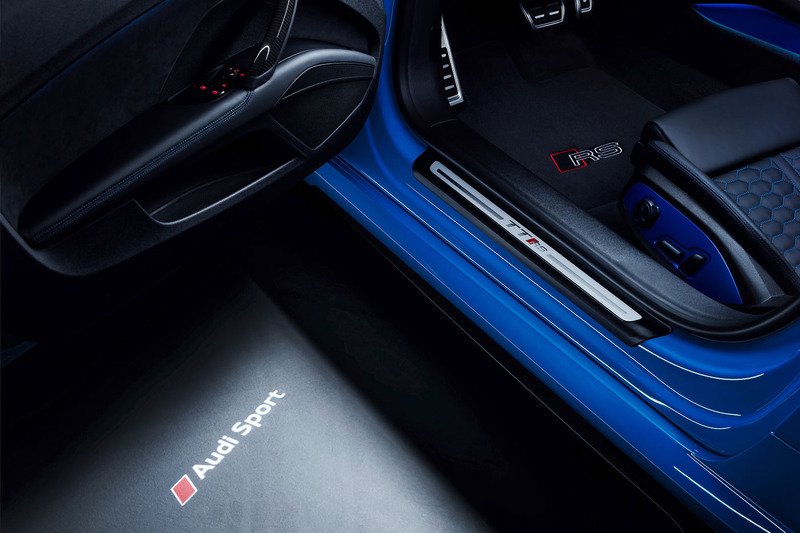 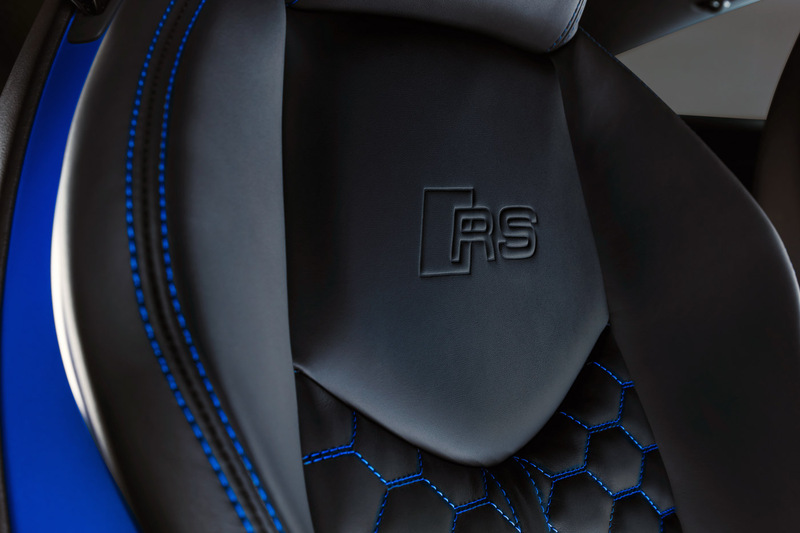 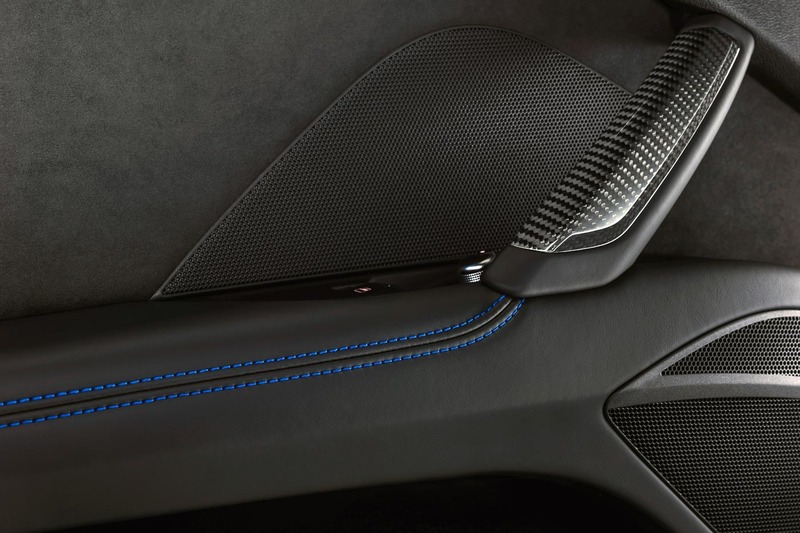 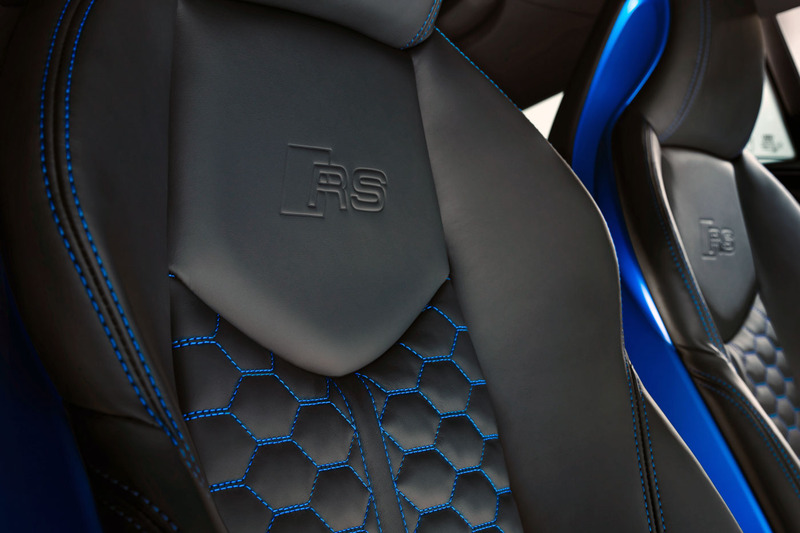 There is an optional RS design package which adds red or blue highlights to the air vent surrounds, seat belts, floor mats and seats. 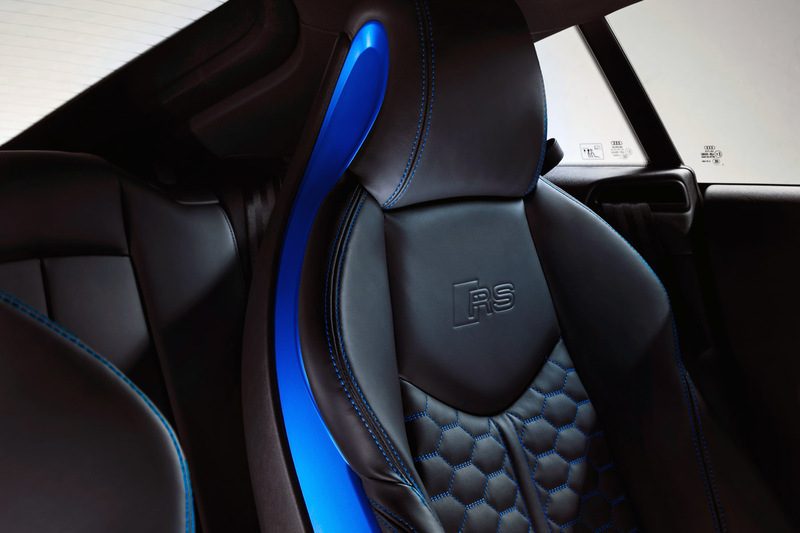 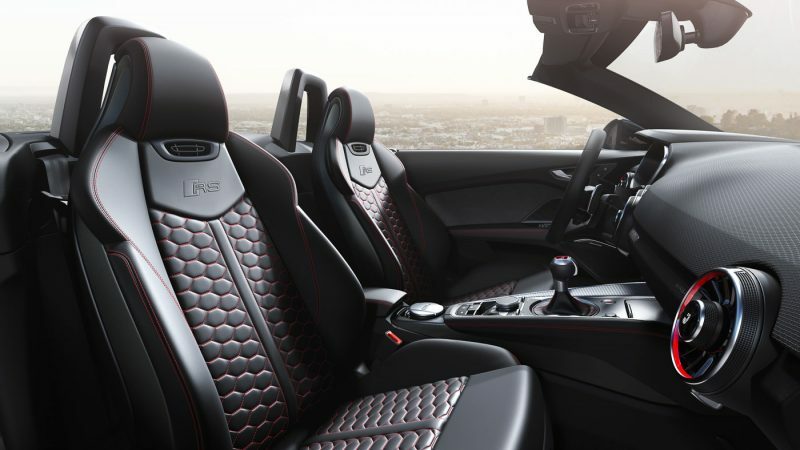 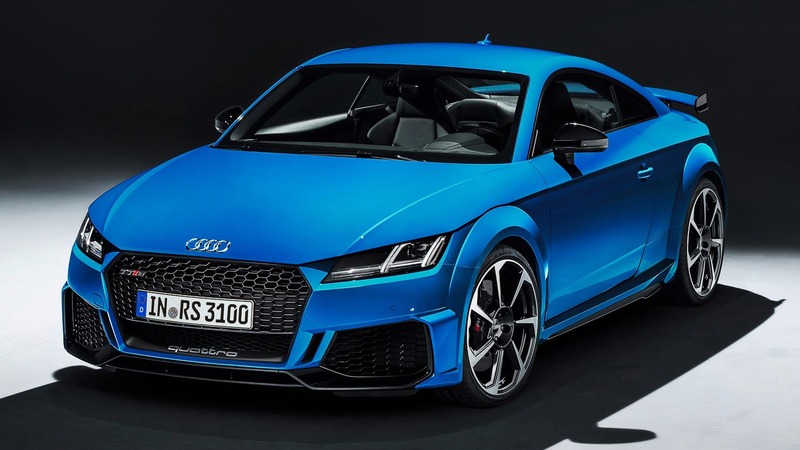 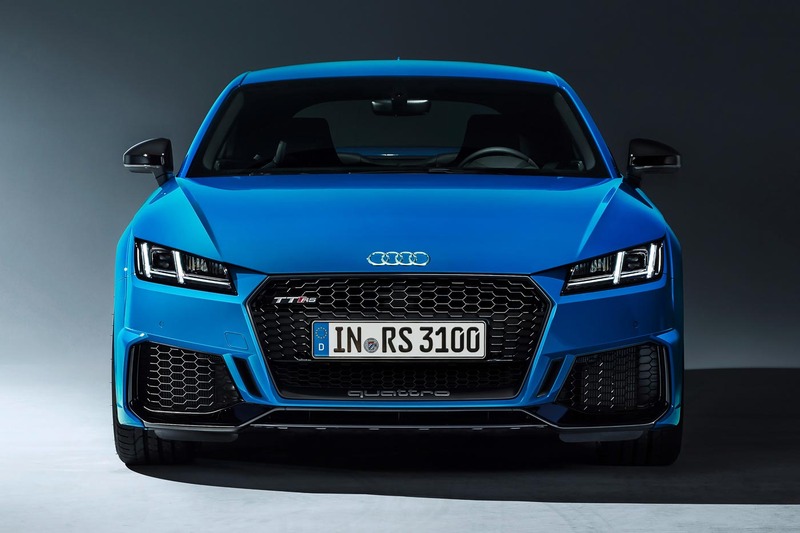 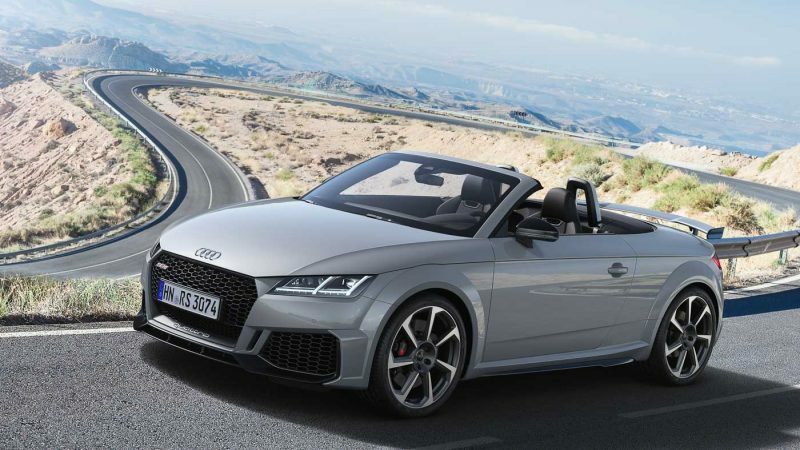 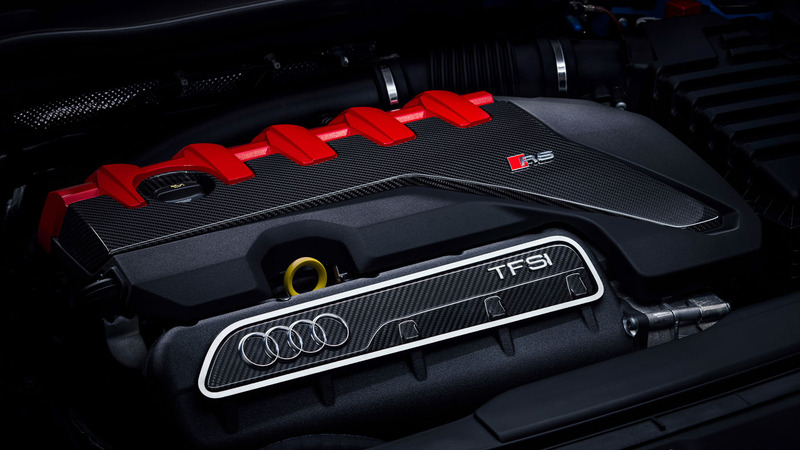 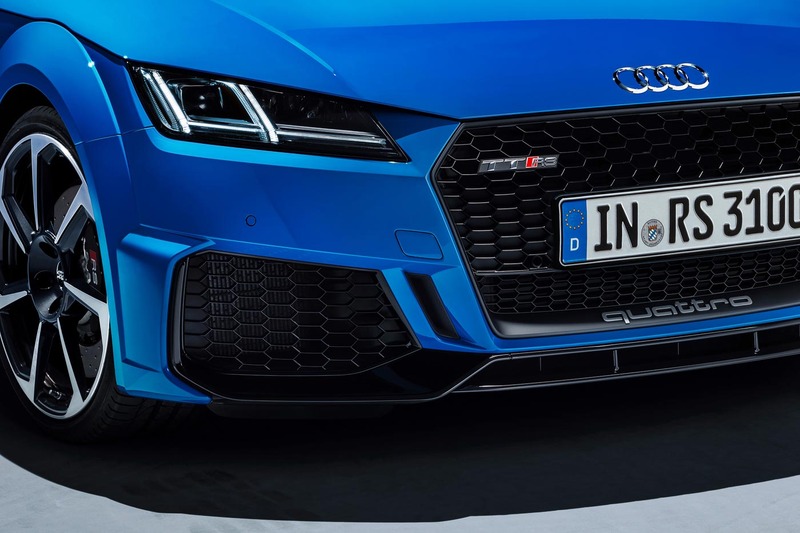 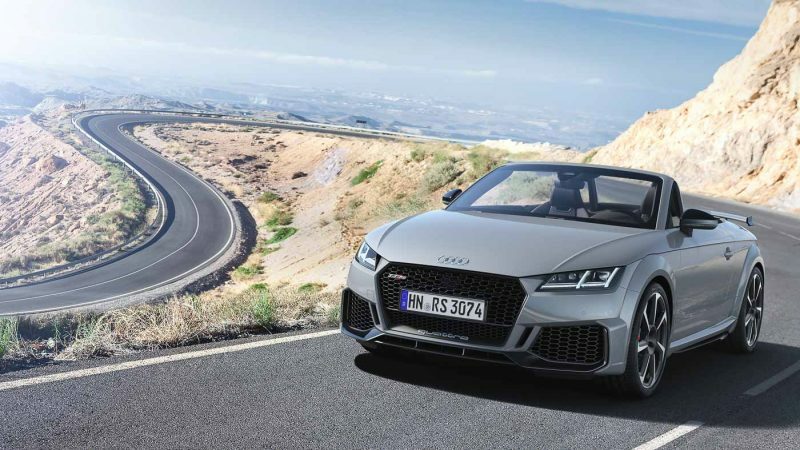 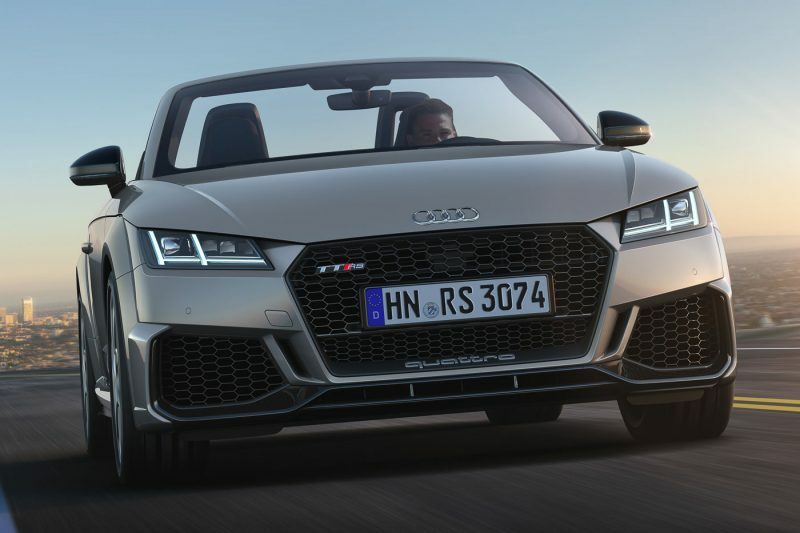 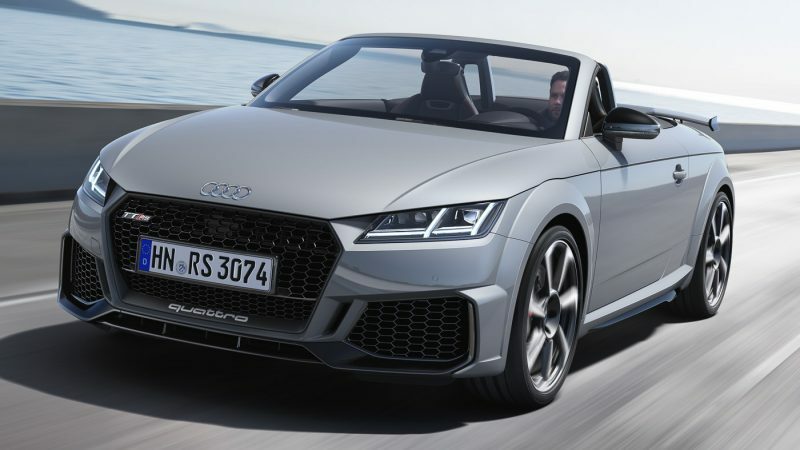 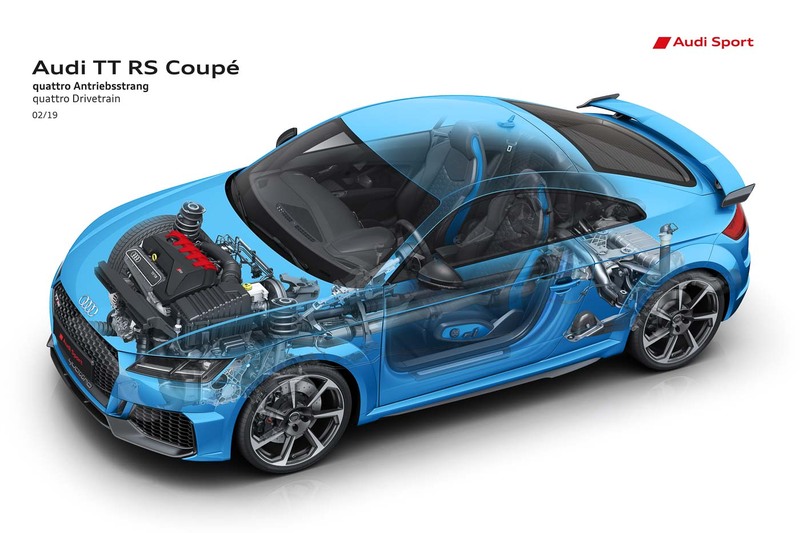 The 2.5-litre turbocharged five-cylinder TFSI and 7-speed S-Tronic dual clutch transmission continue to provide 400 hp and 480 Nm of grunt as before, allowing the all-wheel-drive TT RS to accelerate from 0 to 100 km/h in 3.7 seconds onwards to a limited top speed of 250 km/h or optionally 280 km/h. The facelifted Audi TT RS is available in eight different colours with Kyalami Green, Pulse Orange and Turbo Blue being new additions to the colour palette. 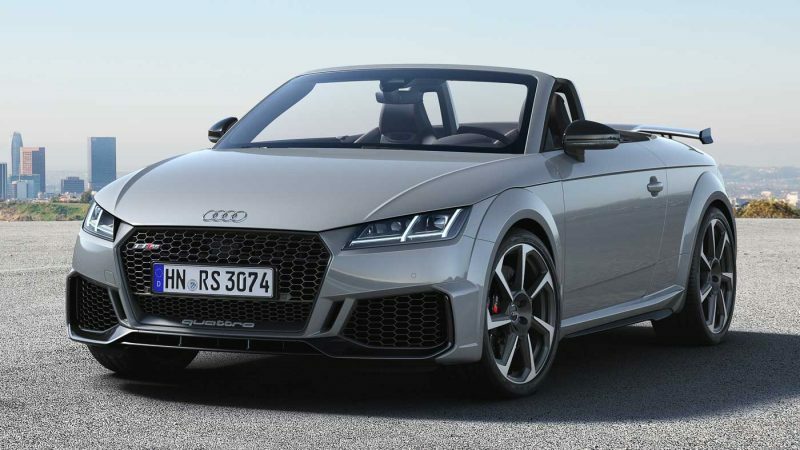 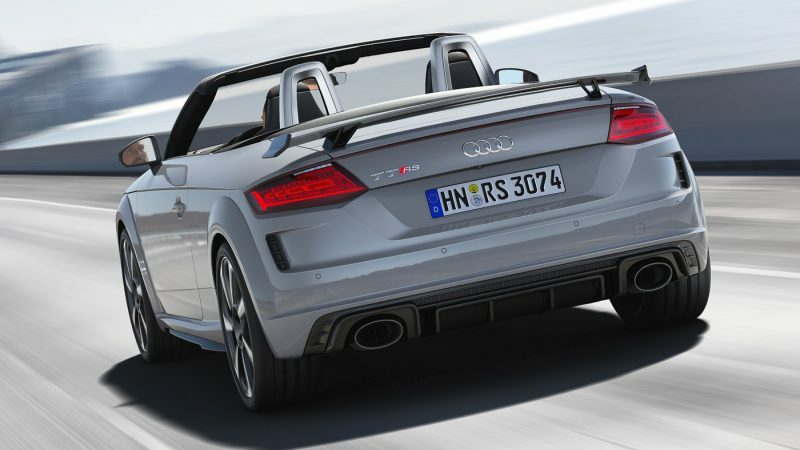 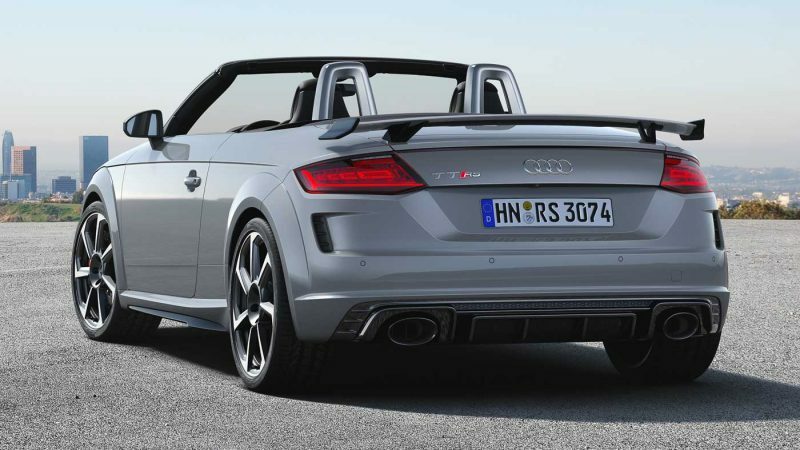 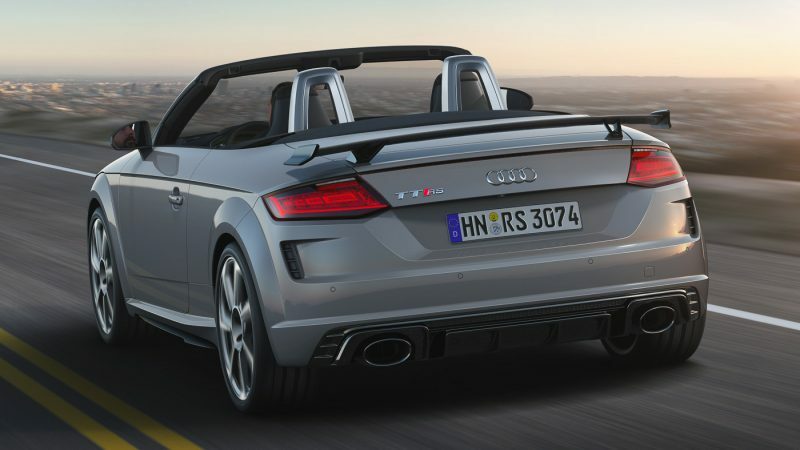 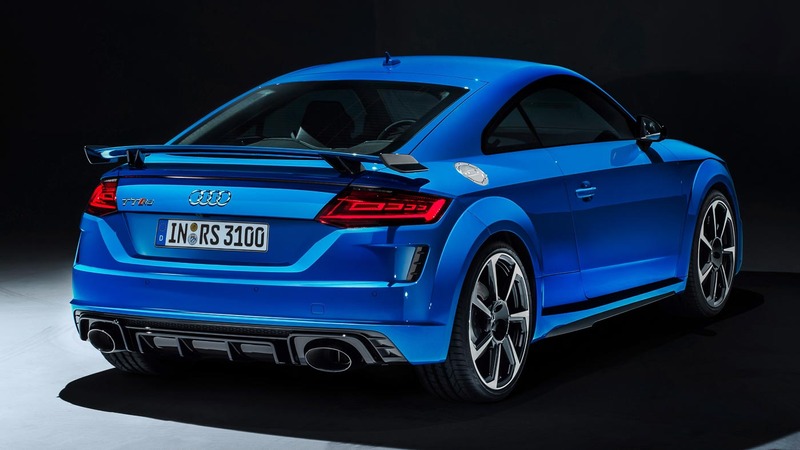 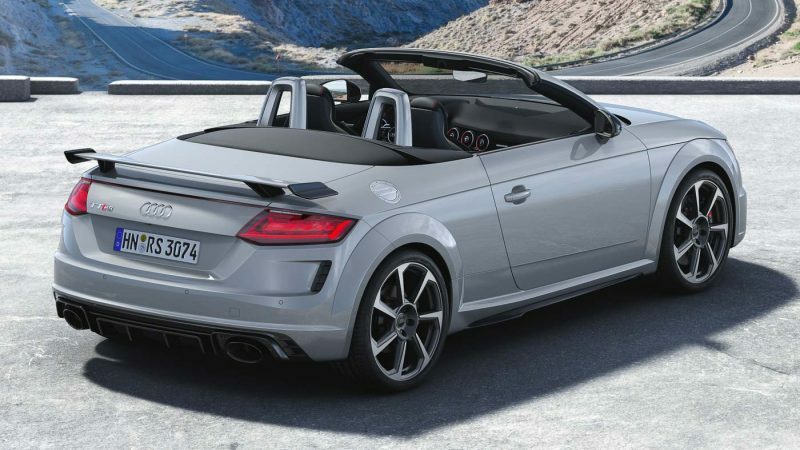 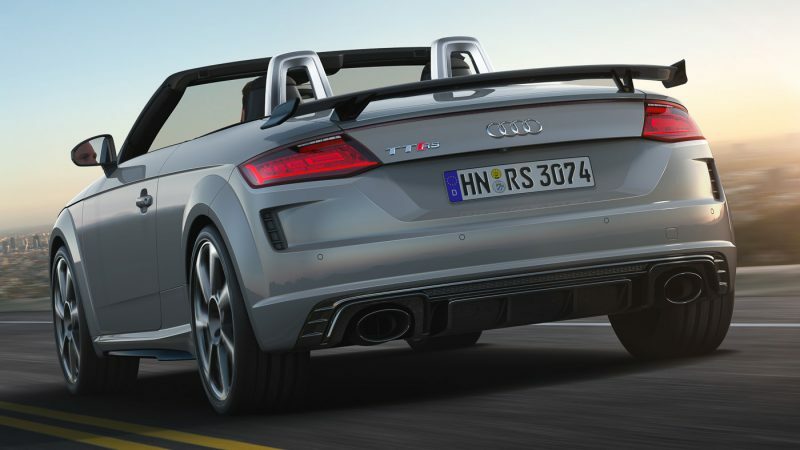 Buyers can also order their TT RS as a Coupe or Roadster.